All those staying at HI Aju Hostel have free access to the Aracaju Oceanarium during their stay. This partnership was signed between HI Hostel and the Tamar Project to offer more leisure and savings to its clients. Contact the Hostel directly for more information. The Marine Aquarium of Paranaguá is a leisure and learning option for those who visit the coast of Paraná. There are approximately 200 species, both freshwater and saltwater, that can be seen in 23 tanks. Here you can see rays, sharks, mangroves, coral reefs, penguins and fish of different species by means of visits accompanied by monitors. Soon it will also be possible to perform interactive dives in one of the tanks, having a sensory experience with invertebrate animals and rays. The attraction also has auditoriums, exhibition spaces, a library, a belvedere and a garden. 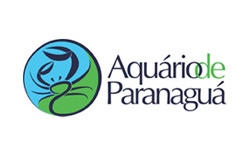 Discount: The Aquarium of Paranaguá offers a discount of 50% (fifty percent) in the purchase of access ticket to the Aquarium by presenting the valid national or international HI portfolio and an identity document. For all those in love with travel that likes comfort, fewer queues, ease of purchase and still reach the most varied destinations, do not miss it! 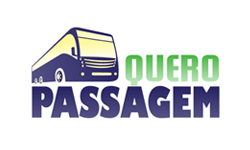 The Quero Passagem (bus) sales center www.queropassagem.com.br is pleased to announce the new partnership with HI Hostel Brasil and so we will be giving its users a special promotion. Now you will have the facilities of the largest portal of Hostels in Brazil, with the practicality of finding 3000 destinations through 30 auto routes without leaving your home. To celebrate this partnership, we are giving a 5% discount on the purchase of bus tickets for all travelers who access our Facebook page through HI Hostel Brasil. Please www.facebook.com/queroPassagem to remove your discount code and have a good trip! It is the 7th largest water park in Brazil. It has the name in reference to Recife, capital of Pernambuco, nicknamed Brazilian Venice. The Venice is located on the beach of Marinha Farinha, district of the city of Paulista, metropolitan region of Recife. The water park is 10 km from Olinda and 20 km from Recife. 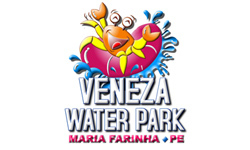 The Venice Water Park has an area of ​​90 thousand square meters and 10 million liters of water. Having one of the largest wave pools, and a huge children's play area, plus the slides that are an attraction to part. Discount: The Venice Water Park offers the associate and 4 other guests a discount of more than 60% over the full amount of the ticket. Upon presentation of the valid HI wallet and an identity document. In the months of February and March the tickets, for the people agreed by HI, go from R $ 96.00 to R $ 32.00 (per person). And birthday of the month accompanied by a payer does not pay the ticket (identify yourself at the box office). Paulistas, Brazilians, backpackers and gringos: everyone gets together to get to know the best of São Paulo's night in a unique way! Open beer bar, shots and drinking games for at least 1h; visit to bars with entrance fee and welcome shot; VIP entrance at renowned ballads in the city: all for just one ticket. One night only, you get the best of São Paulo's nightlife and still meet people from all over the world! Discount: The values ​​of Fridays and Saturdays are R $ 40.00 for women and R $ 60.00 for men. By printing the voucher (and presenting along with the HI Brazil portfolio) each member has R $ 10.00. Non-cumulative discount valid for Fridays and Saturdays. 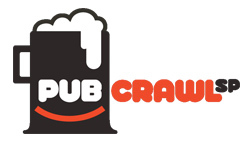 Pub Crawl São Paulo: • Vila Madalena: Rua Wisard, 264 • Augusta: Rua Augusta, 126. 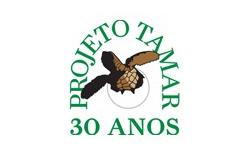 Free entrance to the Tamar Project located in Praia do Forte / BA, for guests of Praia do Forte Hostel, during their stay. Please contact the hostel for more information. With the card of hostess, you have a 20% discount on the tour of Unipraias, in Balneário Camboriú / SC. There are three stations (cable car) that connect Barra Sul to Laranjeiras Beach, with its calm and crystalline waters. With the card of hostess, you have 15% discount on the tickets for the itinerary of Trem, in the tourist class, through presentation of the card of Alberguista. In addition to the train ride, Serra Verde Express also offers packages for Morretes / Antonina, Paranaguá and several adventure and ecotourism tours. Curitiba / PR. * Discounts granted only at the time of purchase of the tickets, for the itineraries of the Train in the tourist class, upon presentation of the card. 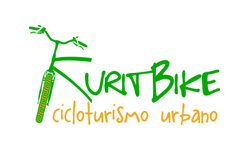 Kuritbike is one of the most recommended tourist services providers in Curitiba-PR, with specialized guides so you can have a unique, healthy and sustainable experience of the ecological capital. There are several options for itineraries through which you can visit the city's famous postcards, such as the Botanical Garden, the Barigui Park and the Opera de Arame, as well as theme tours such as the Coffee Bike Tour, Bike & Bar, Art Bike Tour and Night Tour Photographic Tour. Discount: the discount for members is 15% for urban bike tours (only for the city of Curitiba).